This is just but one of many super views you get when hiking on the Grinnell Glacier Trail. This photo was taken near the Grinnell Glacier itself, and looks back down towards the Many Glacier Area (and the route the trail takes to get up here). 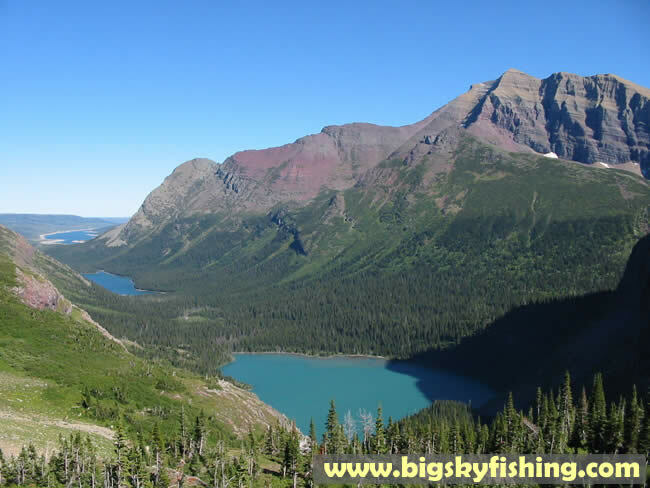 Seen in this photo are Grinnell Lake, Lake Josephine and, way in the background, Lake Sherburne. Allen Mountain is the tall mountain that rises above everything.